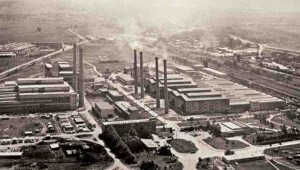 The glass factory in Pleven started production of glass packages in July 1965 under the name “Gen. Ivan Vinarov “. It was officially opened on November 10, 1966. At that time the plant has two main workshops with two furnaces each, and 17 production lines. Three furnaces produce flint glass and one colored (green). 1972 – Started the design process and the construction of a new workshop with two bigger furnaces, each equipped with 6 production lines. The factory became the biggest producer of glass packages (bottles and jars) on the Balkans for that time. 1975 – Started the gasification of the plant, thus converting the work process from burning liquid fuel oil to burning natural gas. 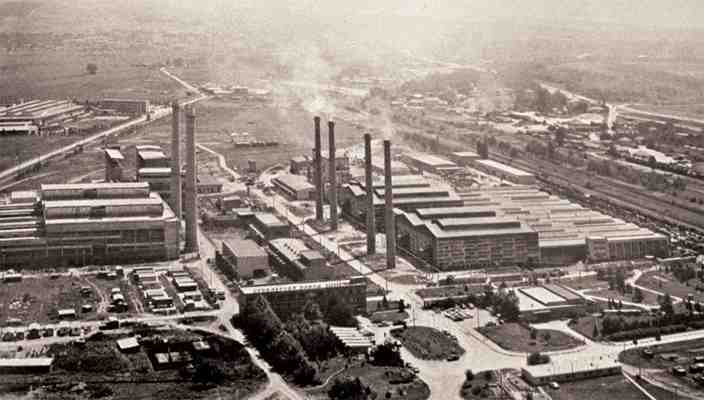 1985 – 5 furnaces work simultaneously in the factory with total of 26 production lines. The staff exceeds 1500 people. This way the factory became one of the biggest production facilities and economical center which attracted people from the Pleven region. 1991 – Company name is changed to “Rubin”. The Factory is known with this name to this day. 2007 – An investment for overhaul and retrofitting of the production equipment workshop for the production of colorless glass was made at the amount of BGN 75,158,583. 2012 – An investment for renovation and retrofitting of the production equipment of the workshop for the production of colored glass at the RUBIN glass factory was made at the amount of BGN 9,311,728. 2015 – Currently at the plant operate 2 production furnaces (for colorless and for colored glass) with 7 production lines with a total capacity exceeding 190 million physical nos. of glass containers annually.